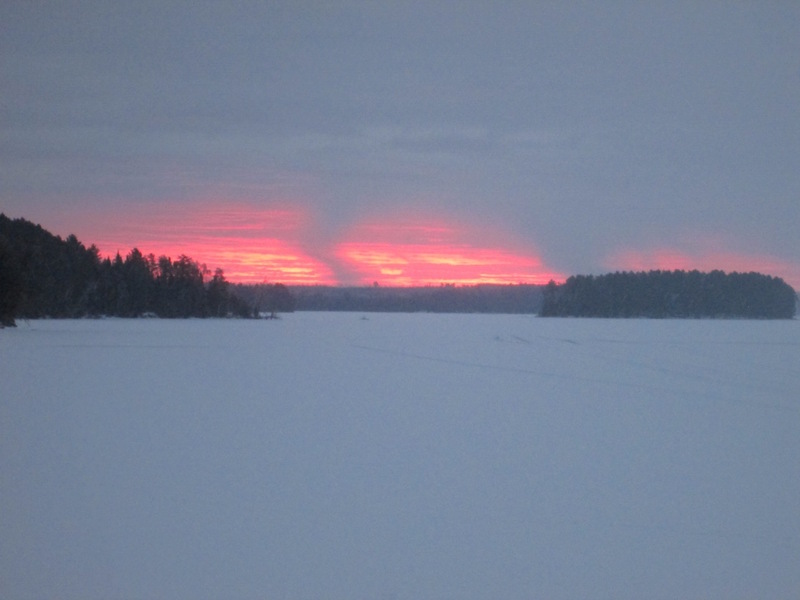 Thursday, February 4, 2016 | Hyatt's Manion Lake Camp Ltd.
Another unusual sunrise from a few days ago that we thought was pretty neat. We have fluffy snowflakes coming down since about 5:45 a.m. The snow is supposed to end early this afternoon, reaching a high of -7c. Brian and John have gone fishing for the day. I plan to do some quilting. Tonight will be mainly cloudy with a 40% chance of flurries early, then clearing. Low -21c.